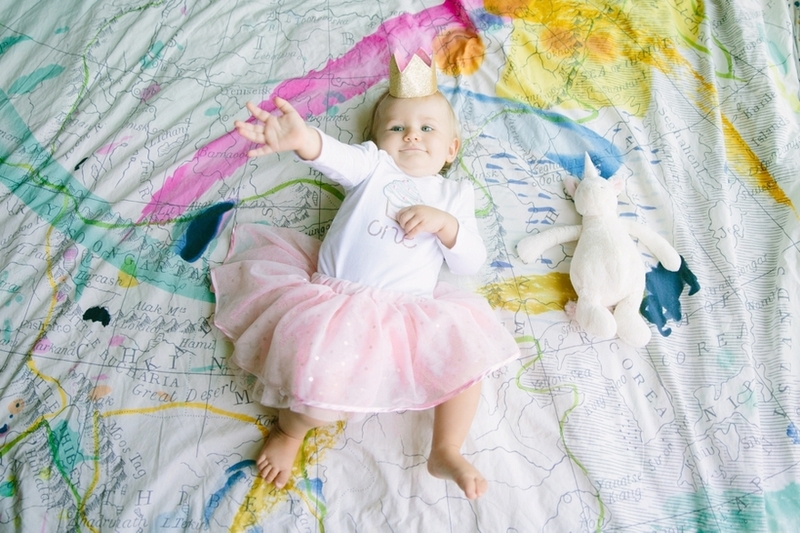 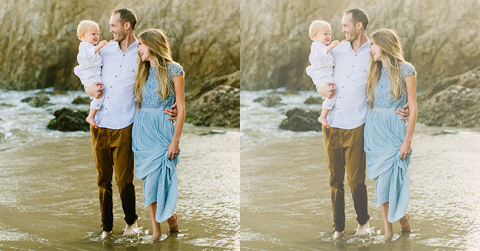 Our baby girl Evangeline is one year old today! 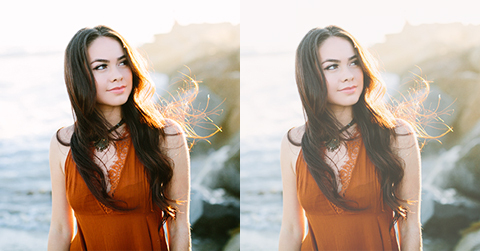 I am so glad I did this project with her. 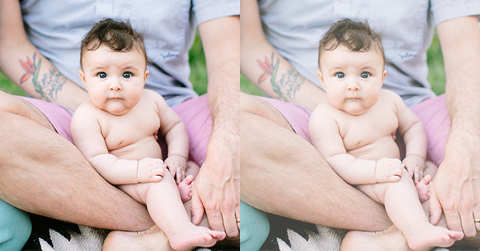 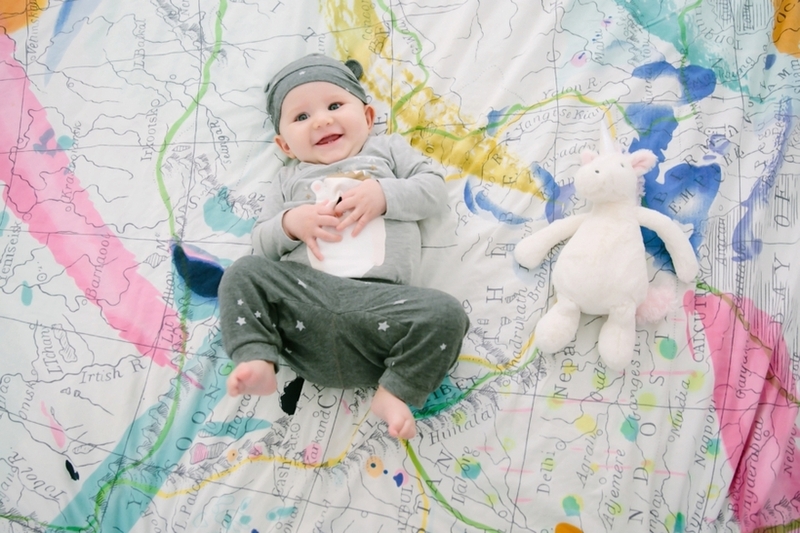 It’s amazing to see how much she changed every week. 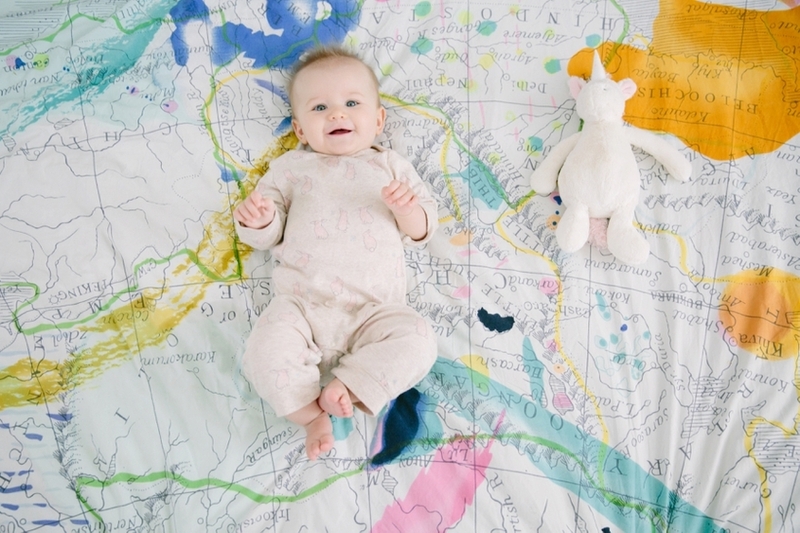 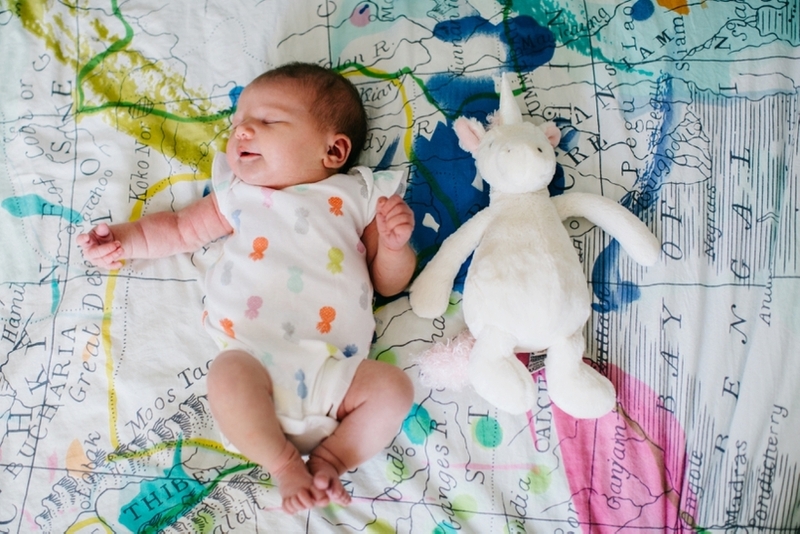 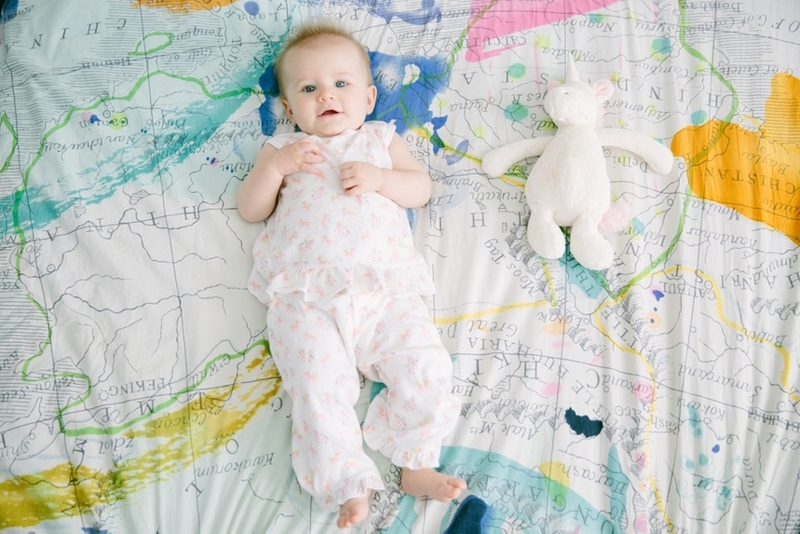 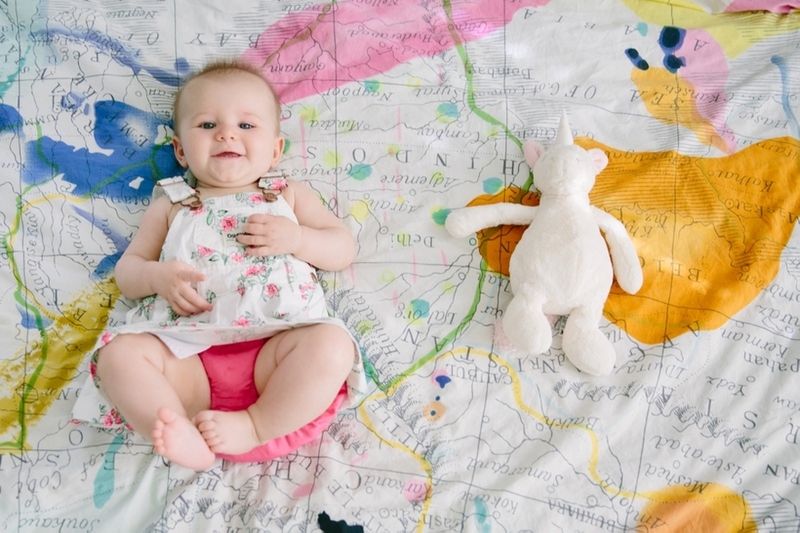 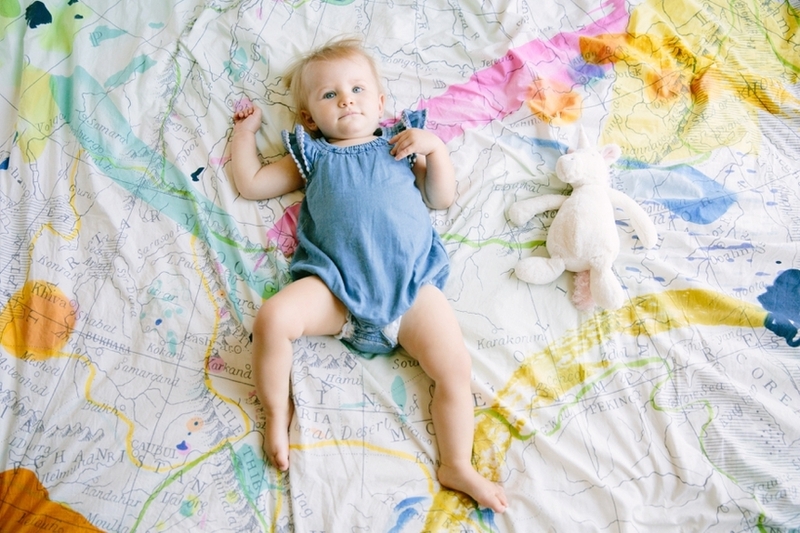 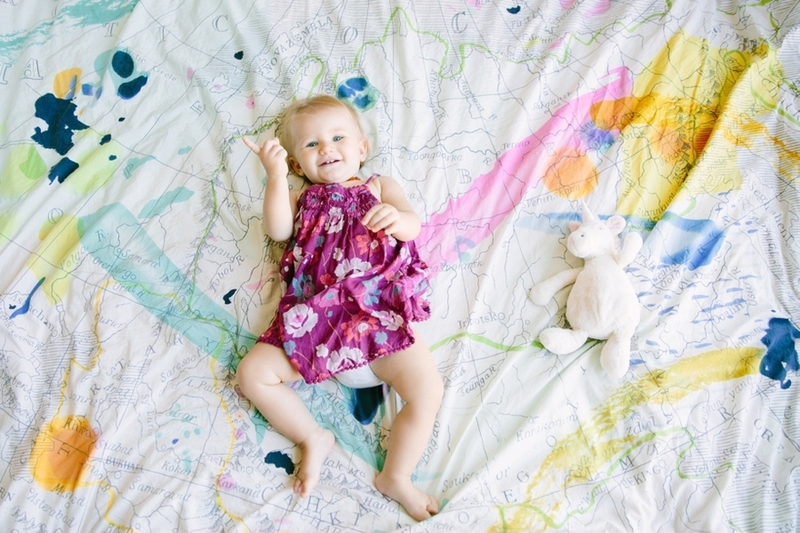 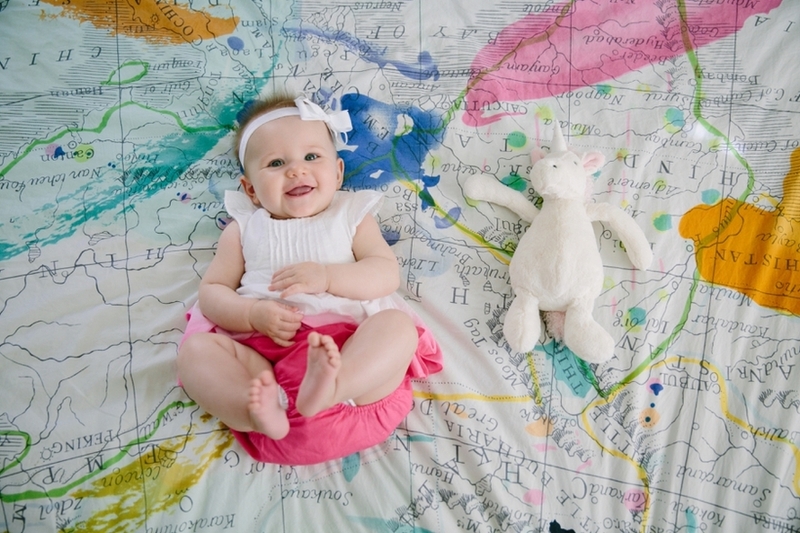 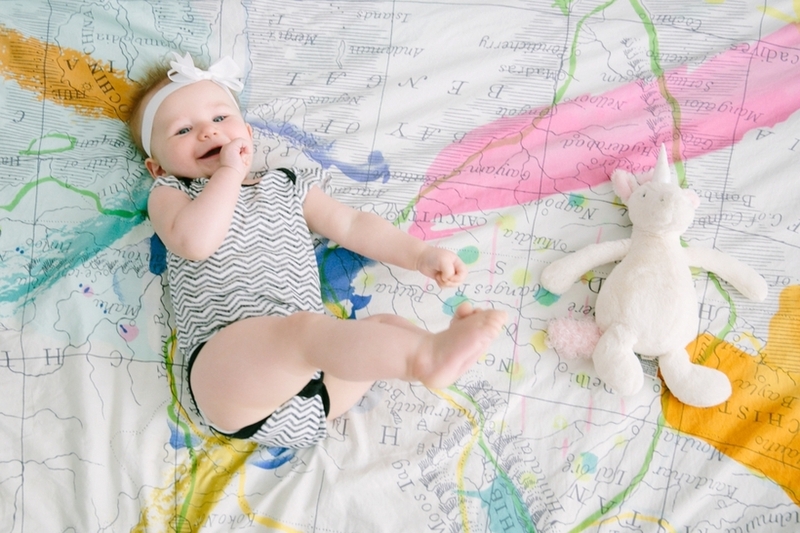 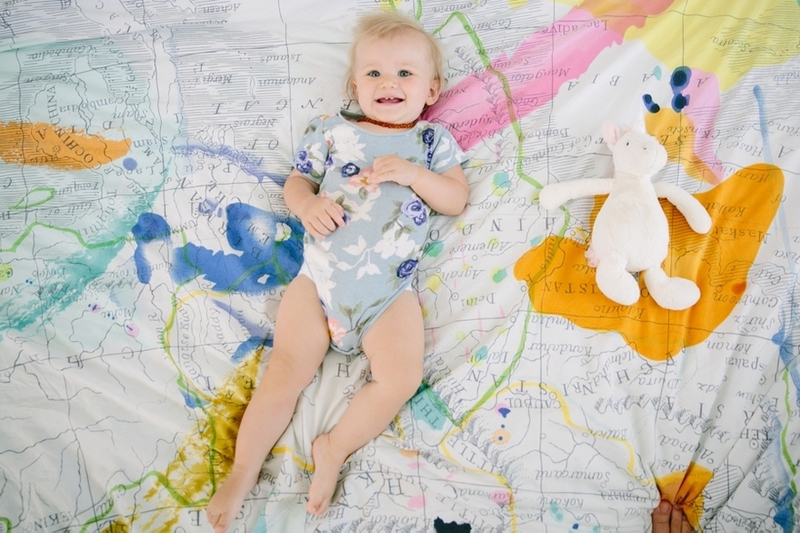 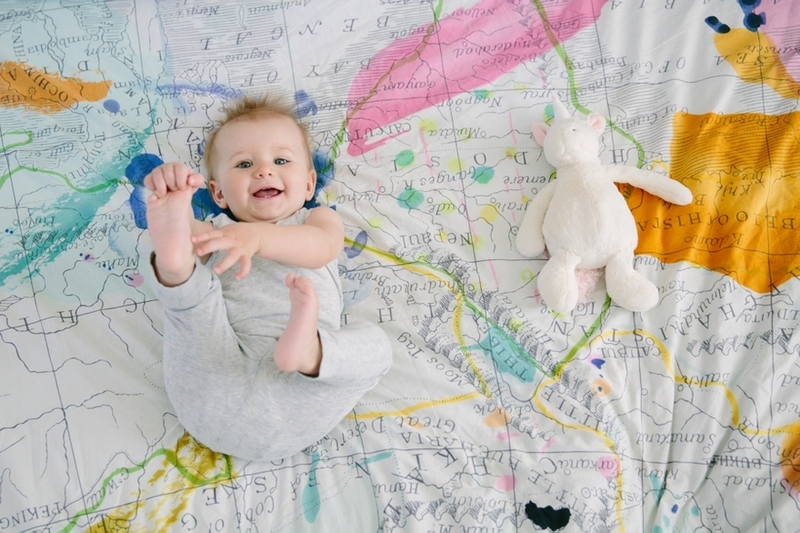 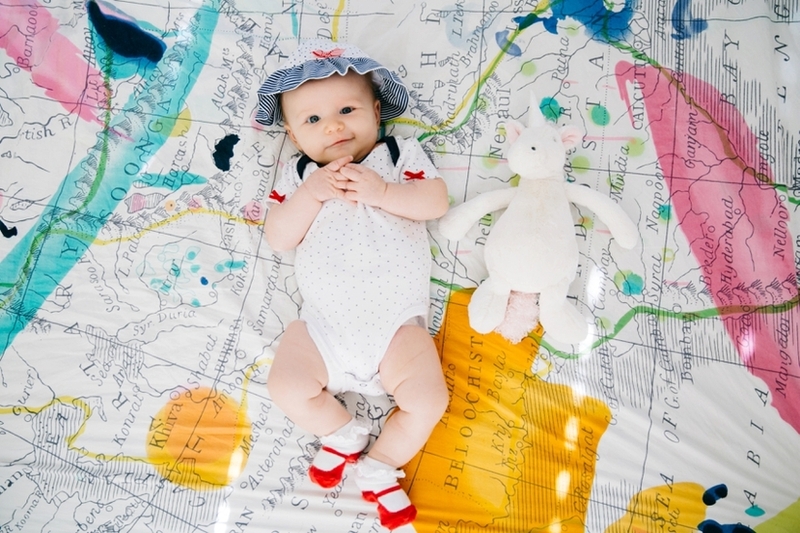 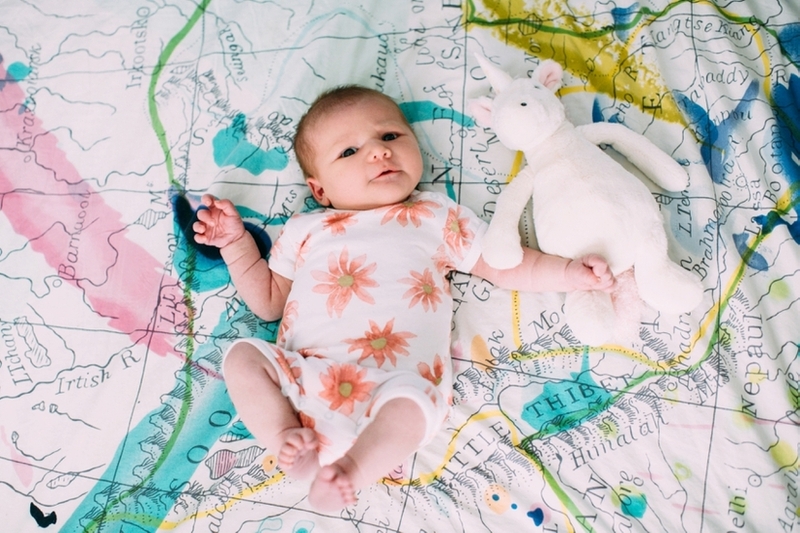 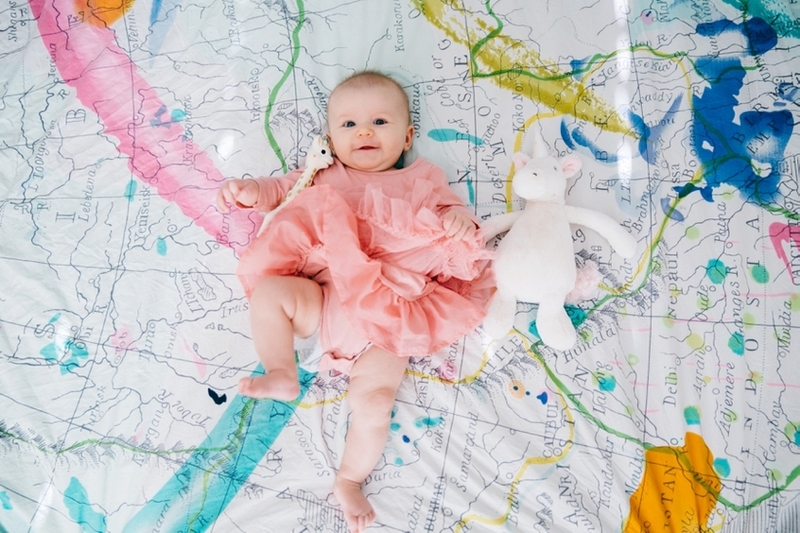 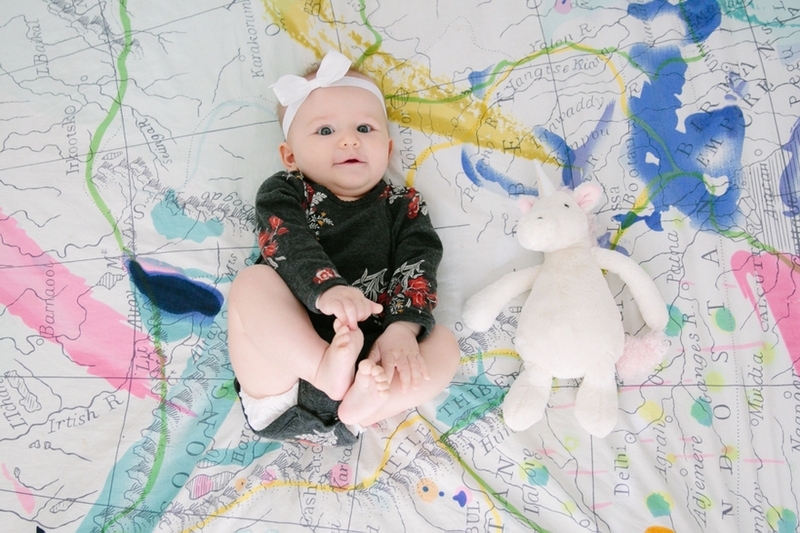 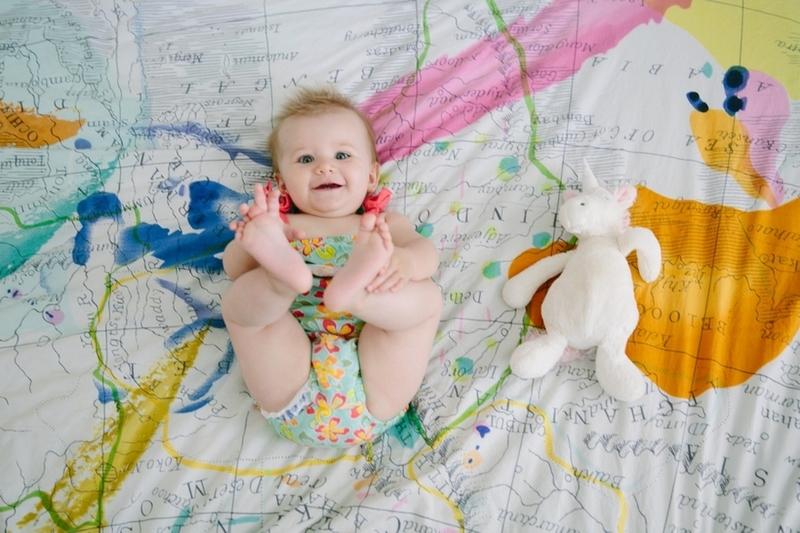 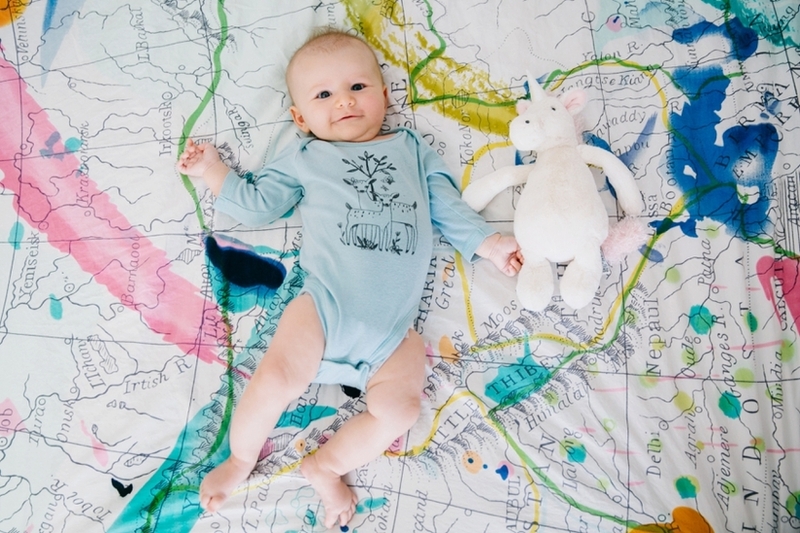 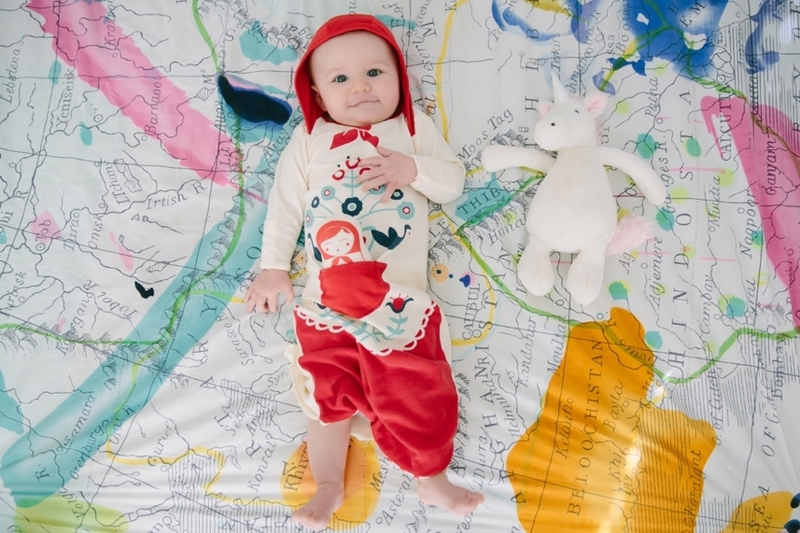 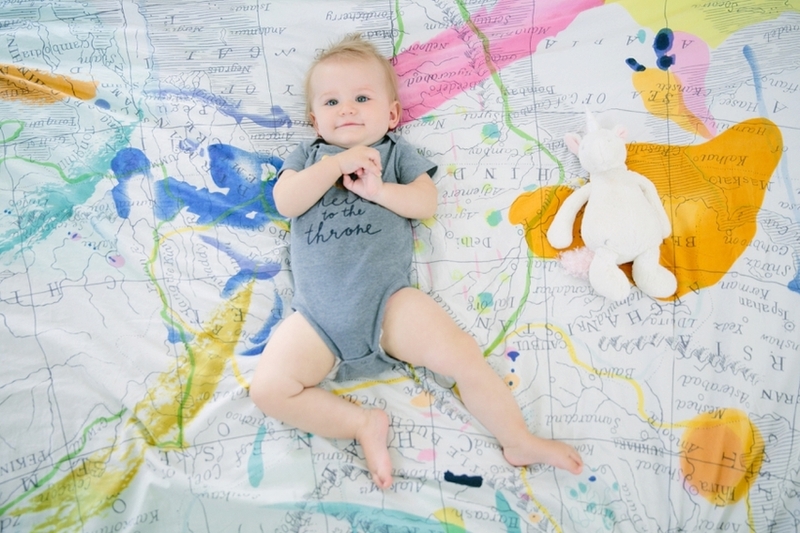 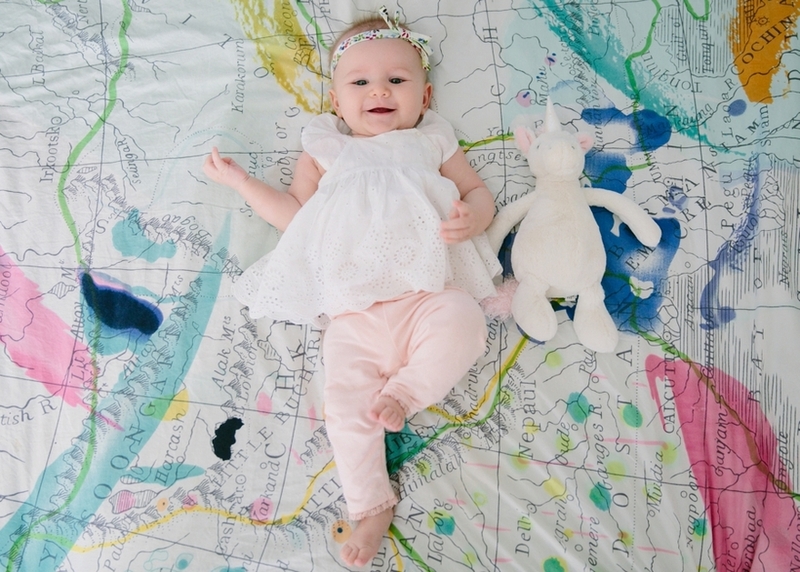 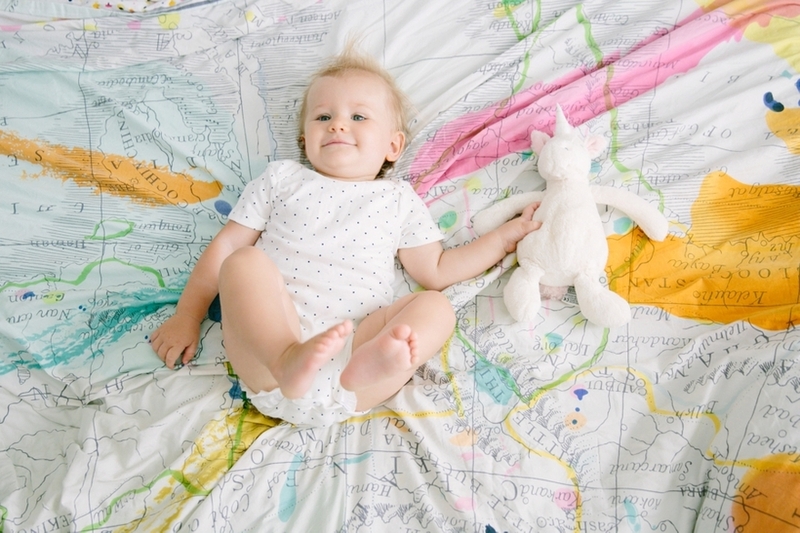 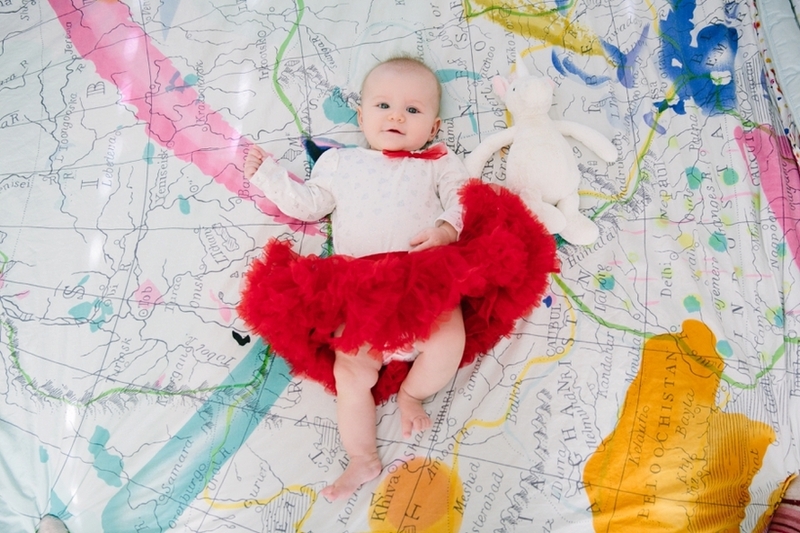 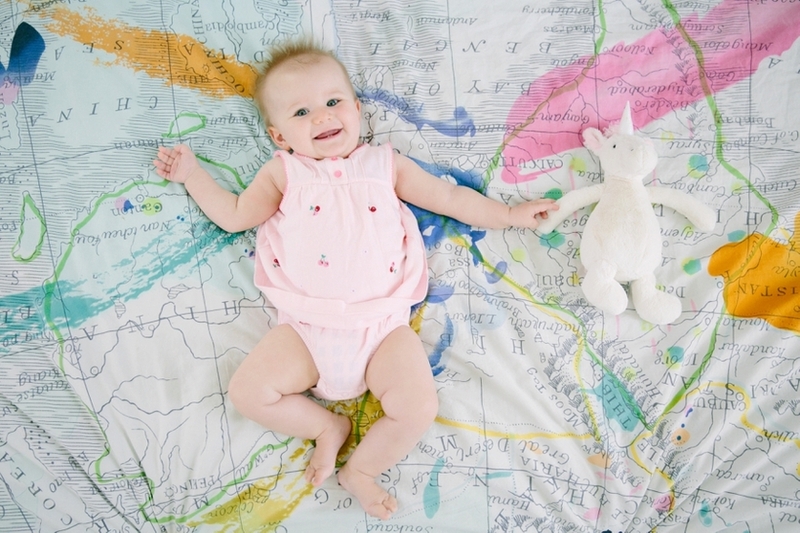 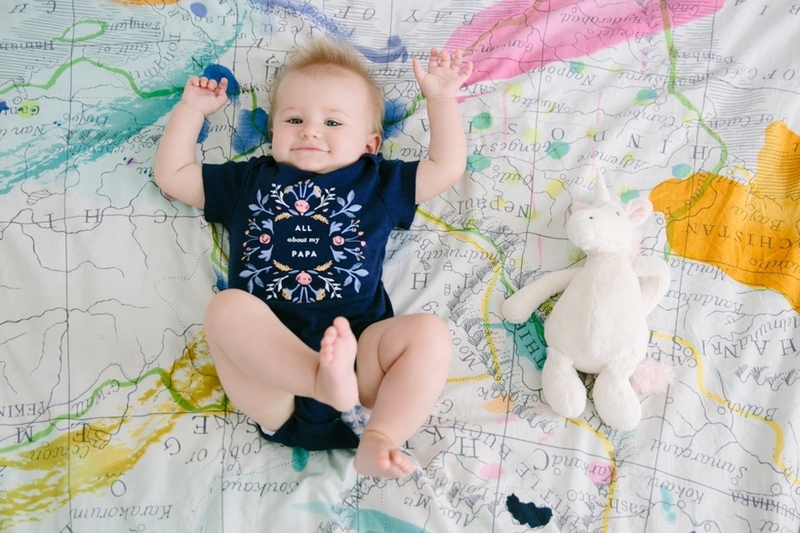 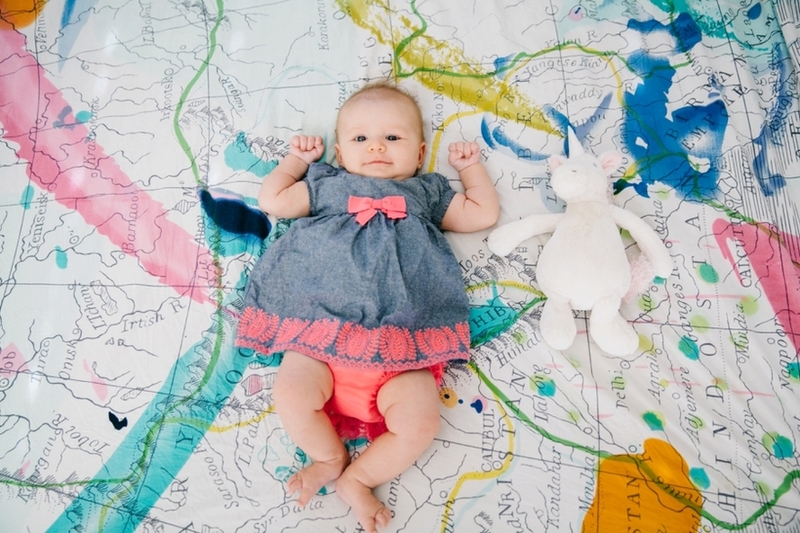 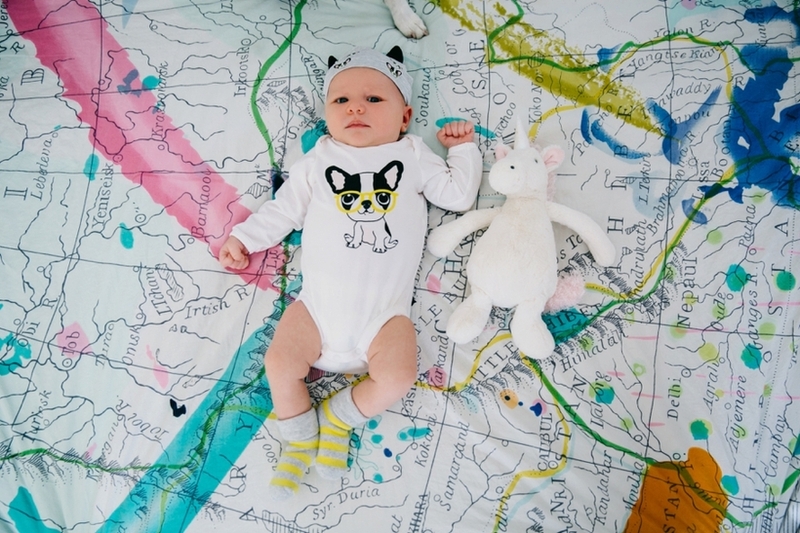 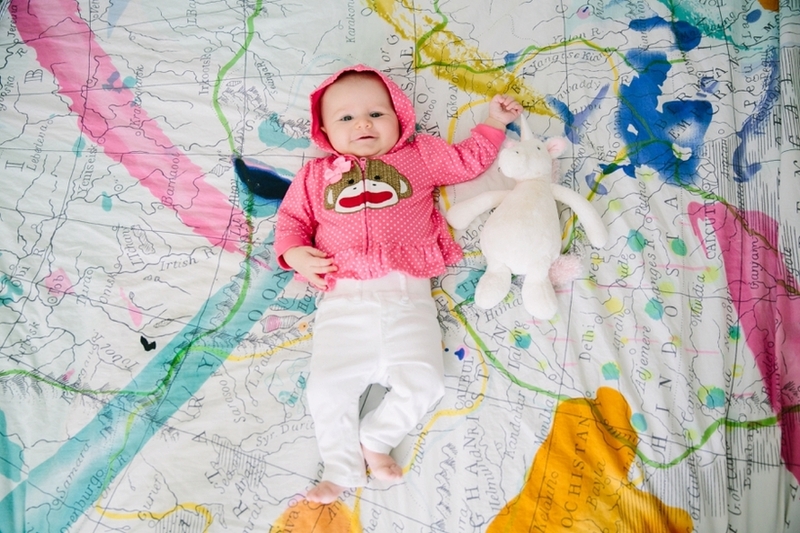 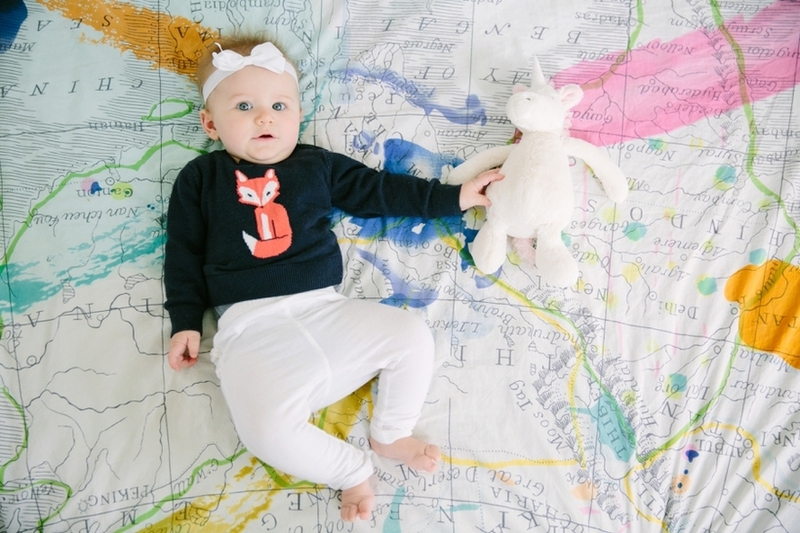 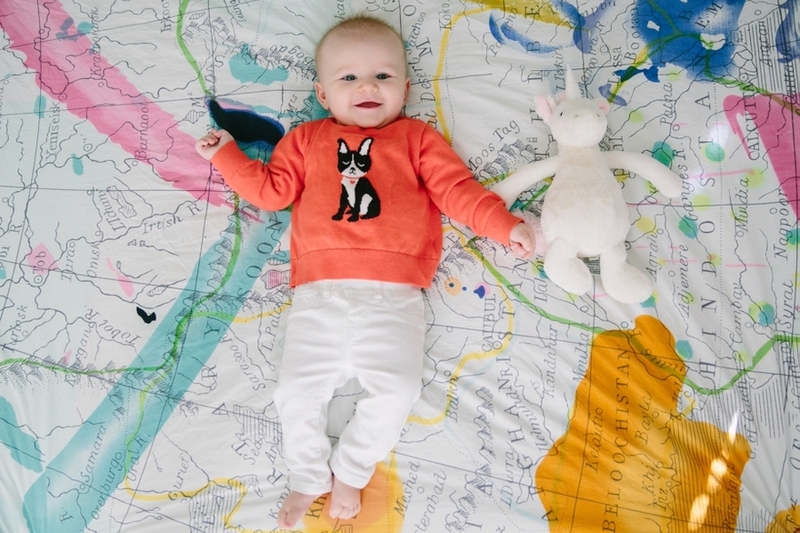 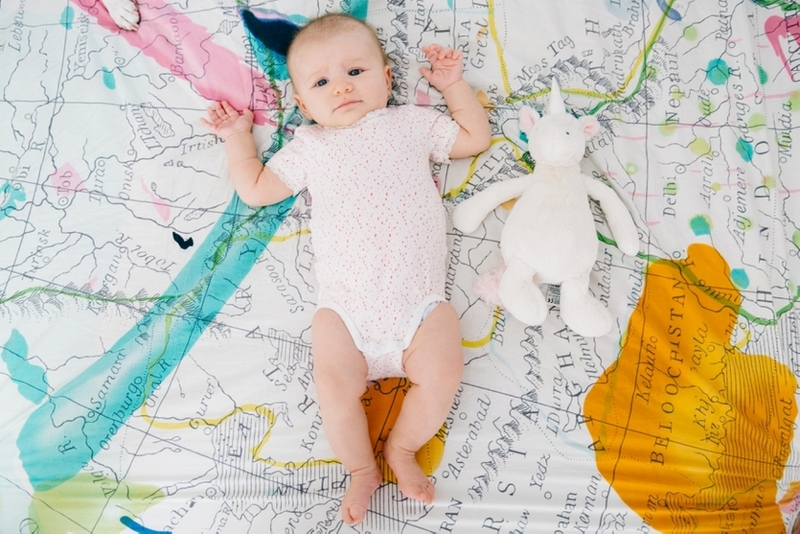 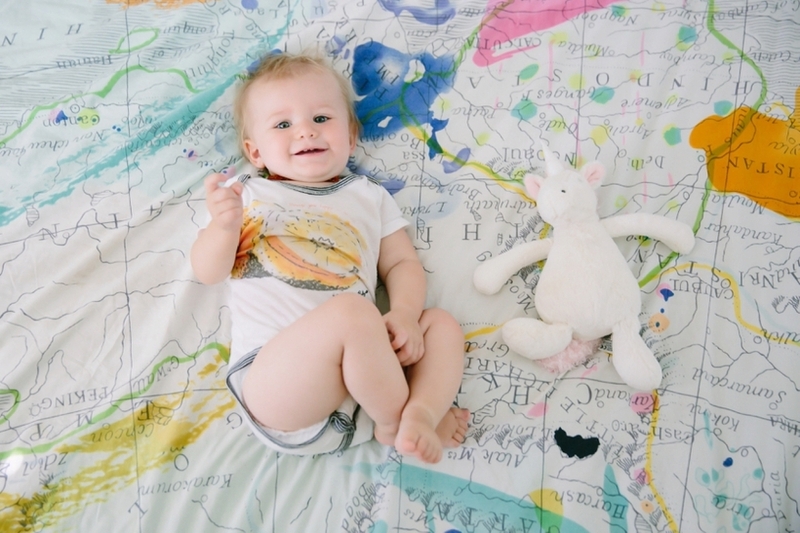 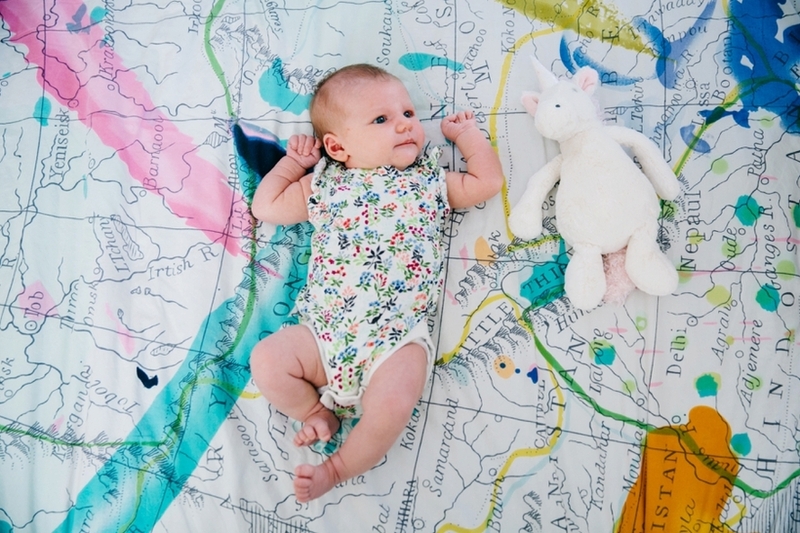 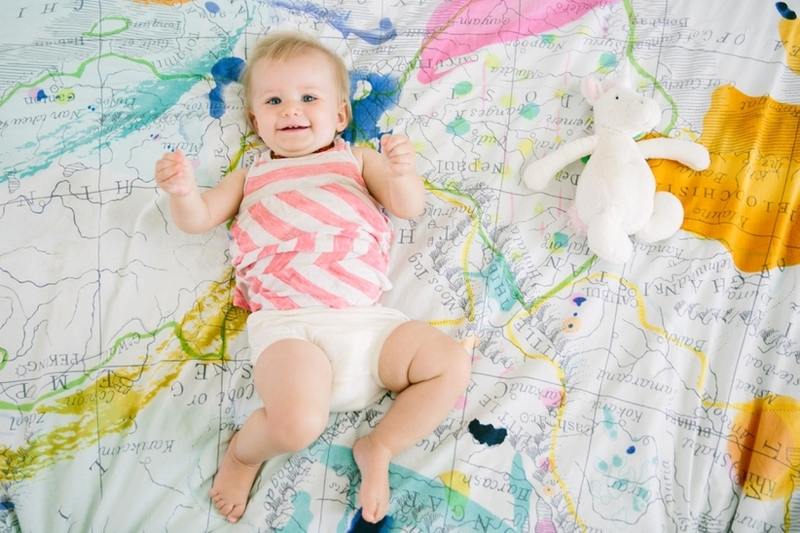 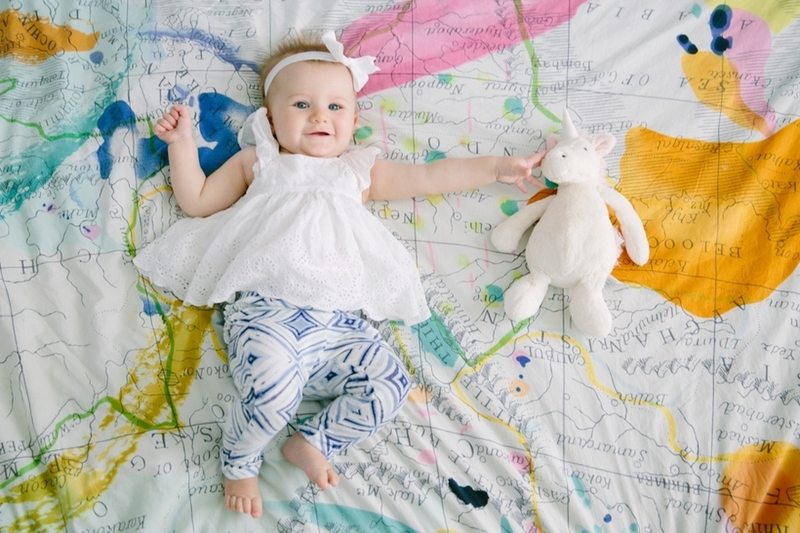 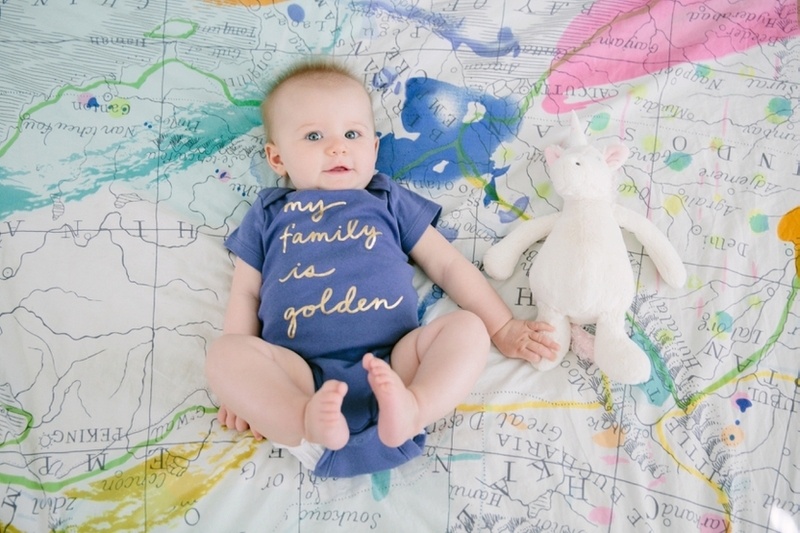 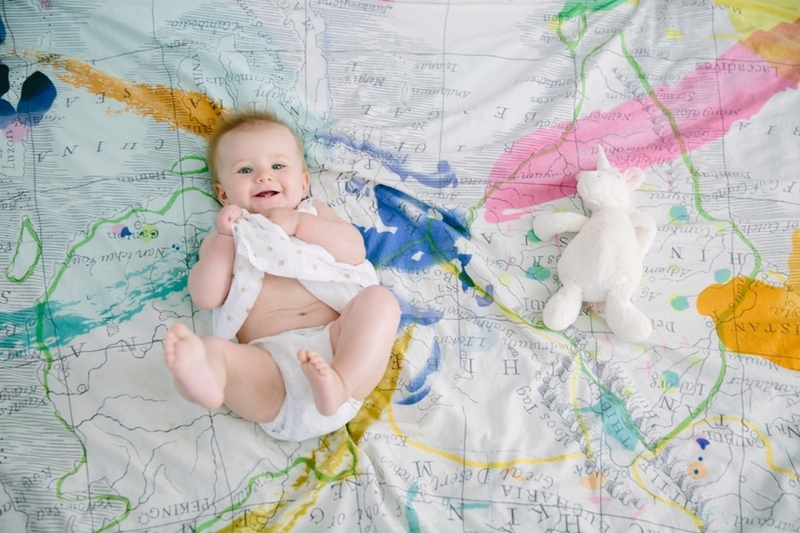 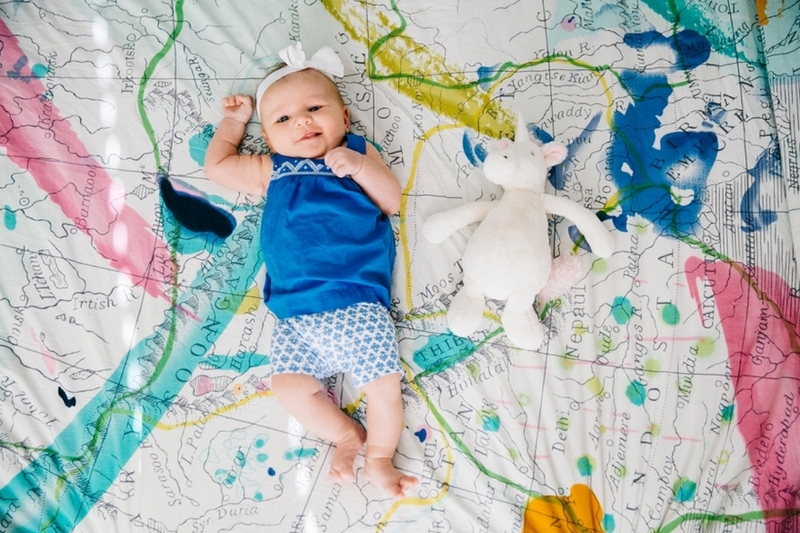 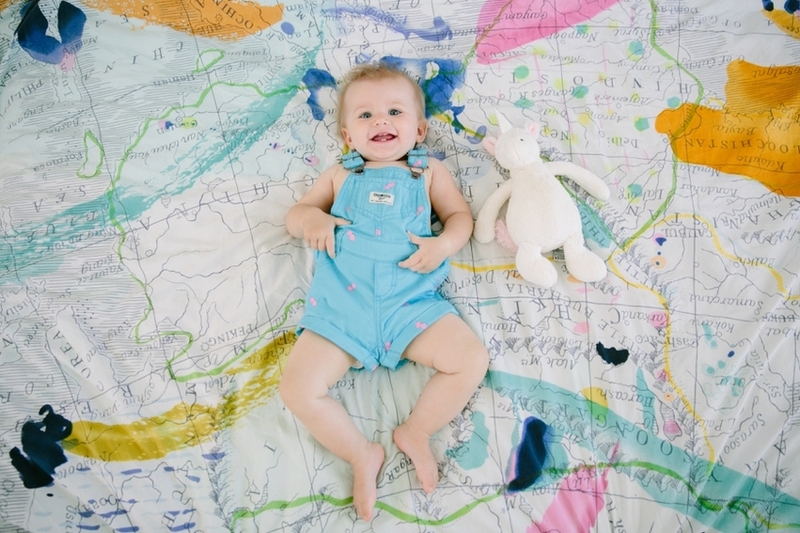 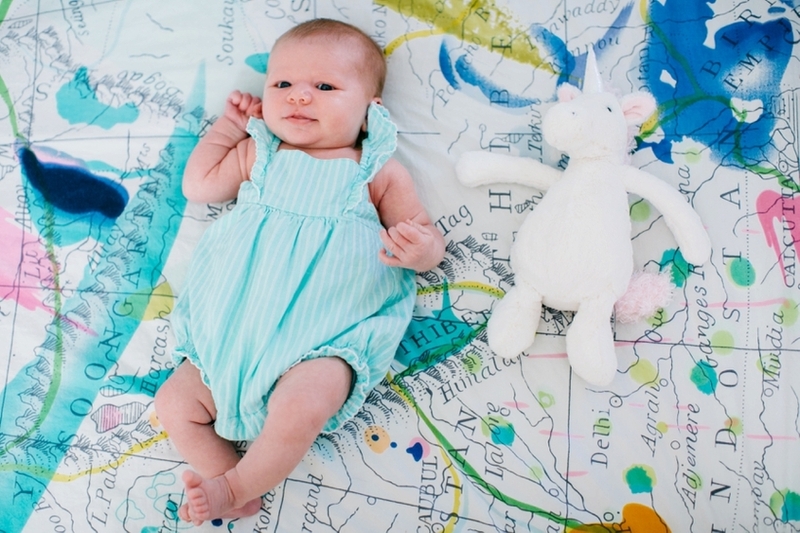 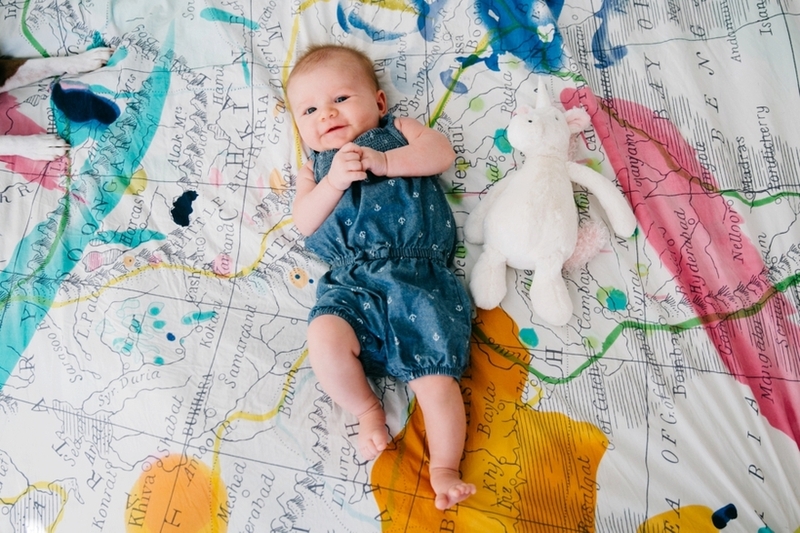 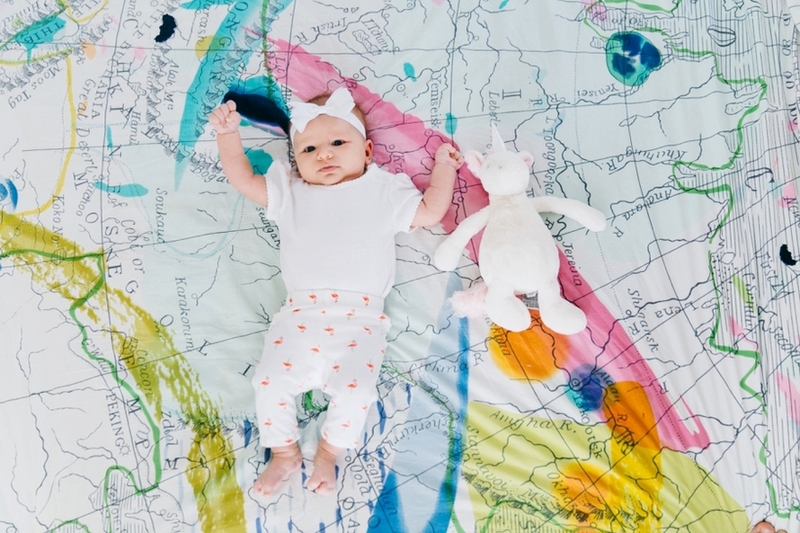 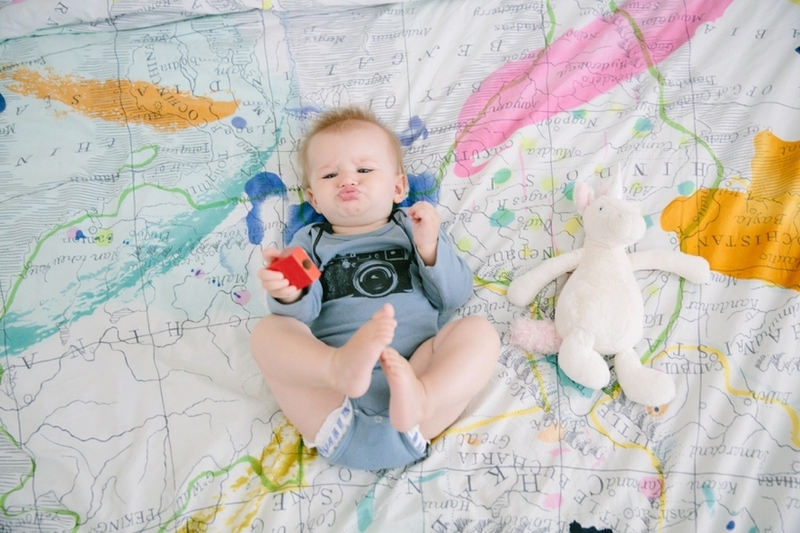 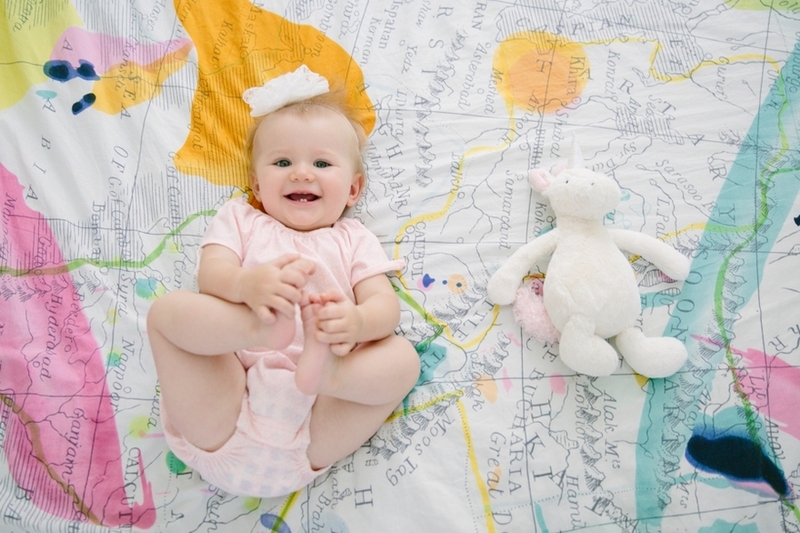 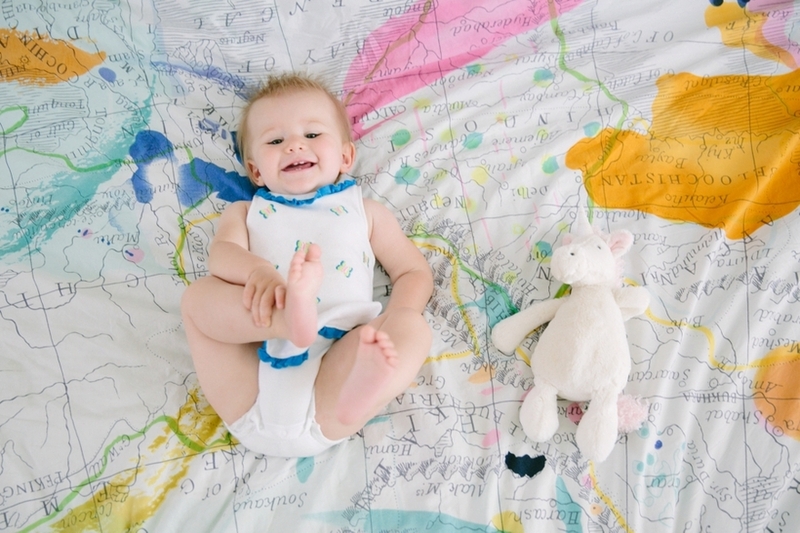 The one photo where she isn’t on the map blanket is from when we were in Australia. 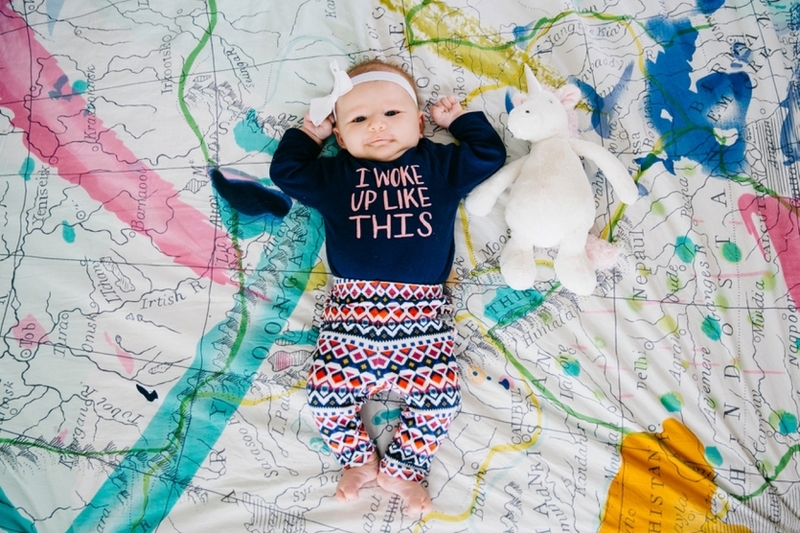 She also never wore the same outfit twice!